Which Ice Cream Topping Are You? Are you an ice cream fanatic? We bet you are! From a delectable scoop of chocolate ice cream topped with rainbow sprinkles, to a sprinkling of chopped candy on a cone of vanilla, each and every ice cream topping has its very own personality. But have you ever wondered which topping YOU are?! Take our quiz to find out! What is your idea of the perfect summer day? 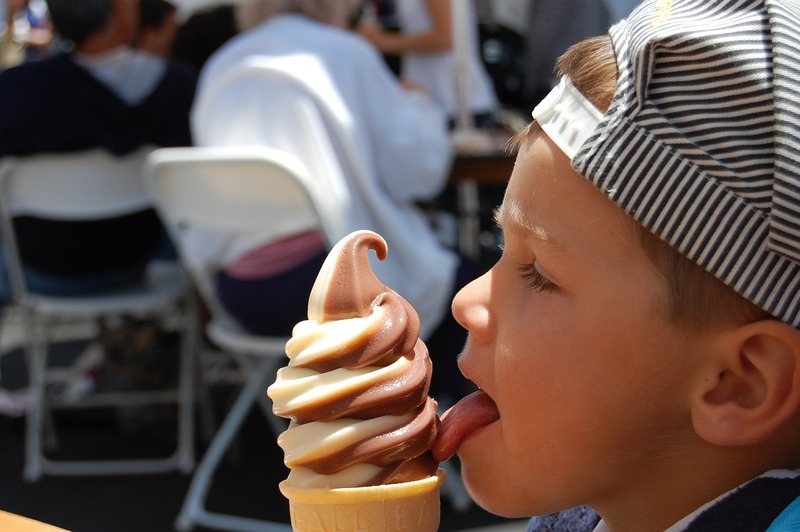 What’s your favorite non-ice cream summer treat? D) A frozen chocolate covered banana – healthy and refreshing! What method of transportation sounds most ideal? What is your ideal summer vacation activity? Mostly A’s: Your adventurous lifestyle leaves you loving new and exciting things! Bright and colorful Willy Wonka nerds are your go-to topping! Mostly B’s: For you, summer means lots of relaxation and “me time”. Your classic and laid-back lifestyle calls for a truly classic topping: rainbow sprinkles! Mostly C’s: You love the fun that warmer weather offers, but you also appreciate your quiet days spent relaxing. You’re a little bit of everything – just like chocolate and peanut butter. You’re chopped Reese’s! Mostly D’s: More than anything, you love feeling the warm breeze at your back. You’re a romantic soul with a love for solo adventures. You stand well on your own, while remaining a true classic. You’re a maraschino cherry!